Sachin Tendulkar mobile app: India’s former legendary cricket player Sachin Tendulkar launched his mobile game application on Thursday 7th December 2017 in Bengaluru. JetSynthesys is a company who developed the game for Sachin Tendulkar and Cricket fans. The master blaster launched the game along with the Non-Executive Chairman (Kris Gopalakrishnan), Vice Chairman (Rajan Navani) and Managing Director of JetSynthesys. By using this latest Sachin mobile App, Play as Sachin like never before.! Within few hours of launch, the game app downloaded around 22000. 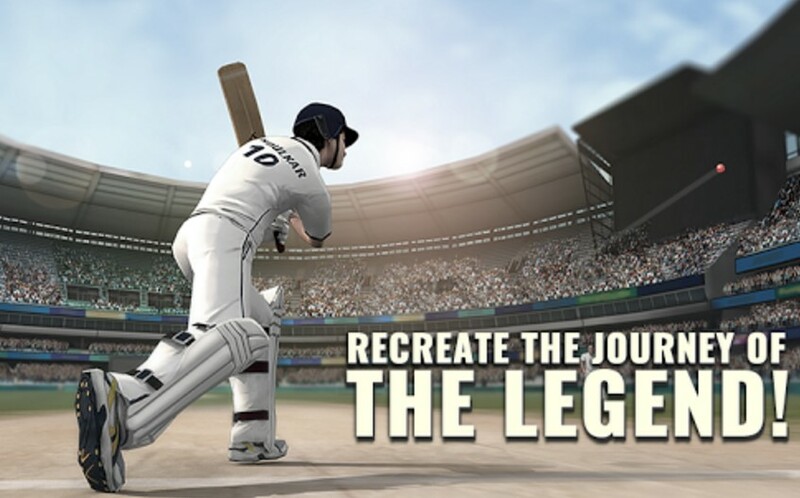 Sachin Saga Cricket Champions features: You can play this game as same as Sachin. Start it from the young age of 16 and continue the play for 24 years. All the most iconic matches from his history are in the same condition and venues. Official Android Google Play Link. Real-world batting system that emulates real-world playing conditions. Play the game in its truest form (zone based bat connections). You can play all his legendary shots by using the Motion captured batting shots. Dynamic camera angles give better experience when you play this game. Replay your shots with the slow motion. You can also watch the stunning catches as clearly. Fielders actions are looks like real and actual games. He added, “I wanted to ensure that everyone got a chance to play this game, no matter what phone they had, hence our team has really worked hard to bring this game to every mobile device. I really hope the game helps cricket enthusiasts to become champions in the digital games arena with their talent and my experience” on the launch of this game event.